A novel chemically defined medium, named KG medium, supplemented with N-3-oxo-hexanoylhomoserine lactone (3-oxo-C6-HSL), an acylhomoserine lactone (AHL) used as signalling molecules in Gram-negative bacterial cell-to-cell communication, as the sole source of carbon and nitrogen, was designed and successfully used for the enrichment and isolation of AHL-degrading bacteria. A 3-oxo-C6-HSL-degrading bacterium, 13sw7, was isolated from sewage after six enrichment transfers in the 3-oxo-C6-HSL-containing KG medium. On the basis of the almost complete 16S ribosomal DNA sequence, isolate 13sw7 was clustered with unculturable β-proteobacteria. 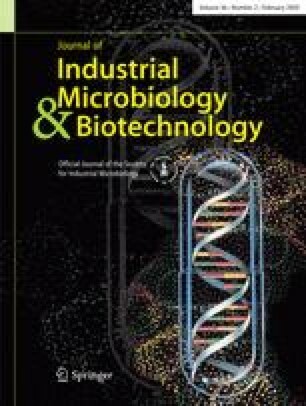 This study indicates that the AHL-containing KG medium is effective in isolating AHL-degrading bacteria, including those previously considered unculturable, from environmental sources. To the best of our knowledge, this is the first documentation of the isolation of an AHL-degrading proteobacterium from sewage. K. G. C. thanks the University of Malaya for a Ph.D. fellowship and the Commonwealth Scholarship Commission, UK, for a Commonwealth Split-site Ph.D. Scholarship. We thank Paul Williams (Nottingham, UK) for the biosensor and AHL. We thank Joel Low Z. B. for technical assistance in DNA sequencing and phylogenetic analysis. This research was supported by the Malaysia Toray Science Foundation (MTSF1013-2007A), Research University Grants (University of Malaya, grant no. FR146/2007A, TA048/2008A), and two Vote F research grants from the University of Malaya to K. G. C.